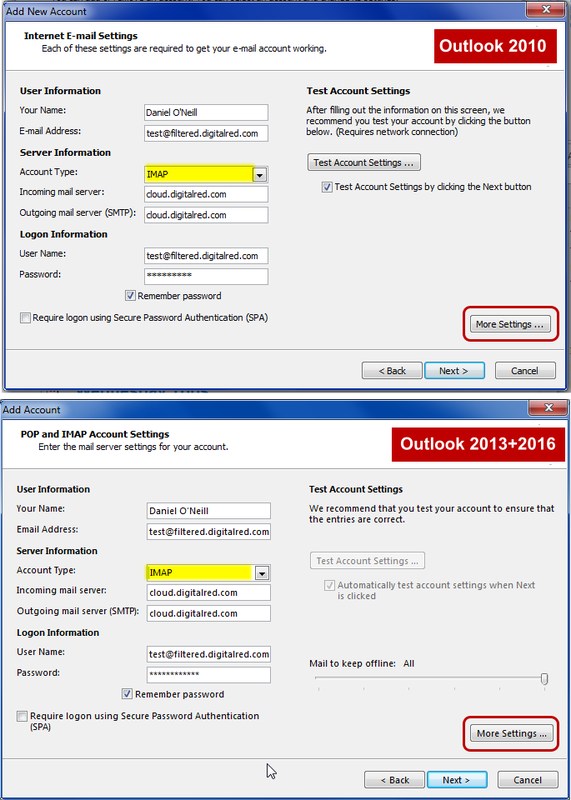 Before you begin, you need to know your email address and your password. If you don’t know your password, stop now and find it first. 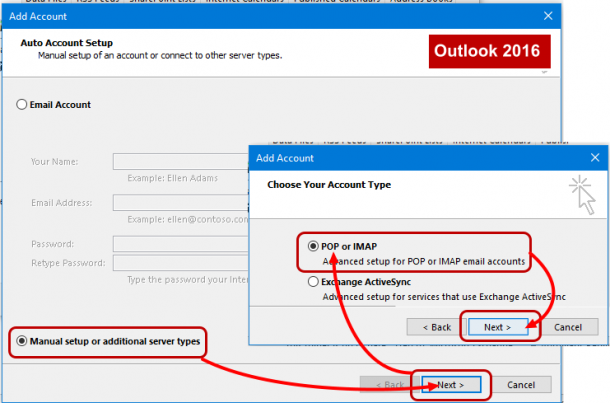 The different versions of Outlook ask their questions in a different order at the next step, but you want to add a new email account, selecting the Manual setup option and POP or IMAP. 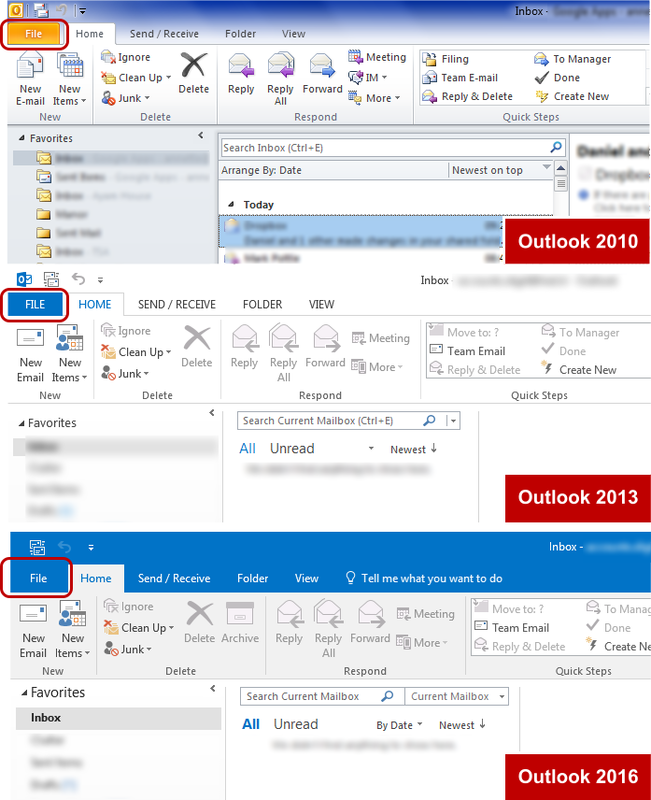 After you’ve clicked More Settings the screens are thankfully the same for all versions of Outlook again. 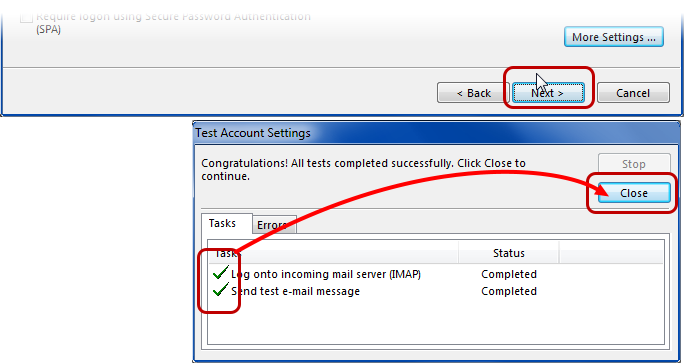 Next click the Advanced tab and pull down both None menus and select SSL, and then change the 25 to 465. Make sure you do it all in that exact order. 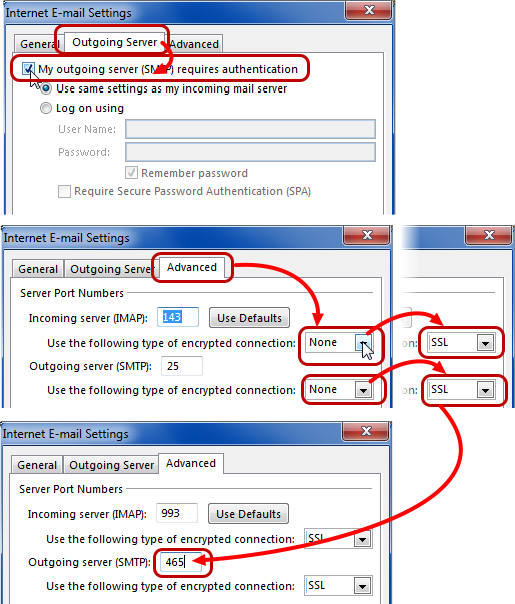 Before you press OK, make sure that your screen looks like the third of these screenshots: you should have 993 in the top box, 465 in the bottom box, and SSL in both pulldown menus. 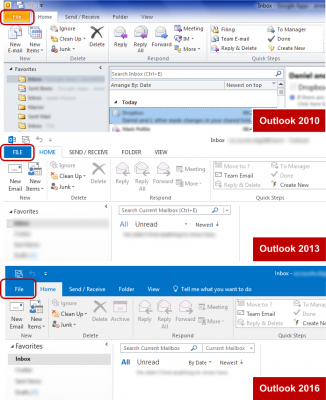 You’re done – enjoy your new email account.